The weather has been heating up which means that summer is upon us! You know what will cool you down in the heat? POPSICLES! So, I invited an honorable guest to help me create these frozen delicacies… And let me tell you, he sure knows a thing or two about how to deal with the heat! 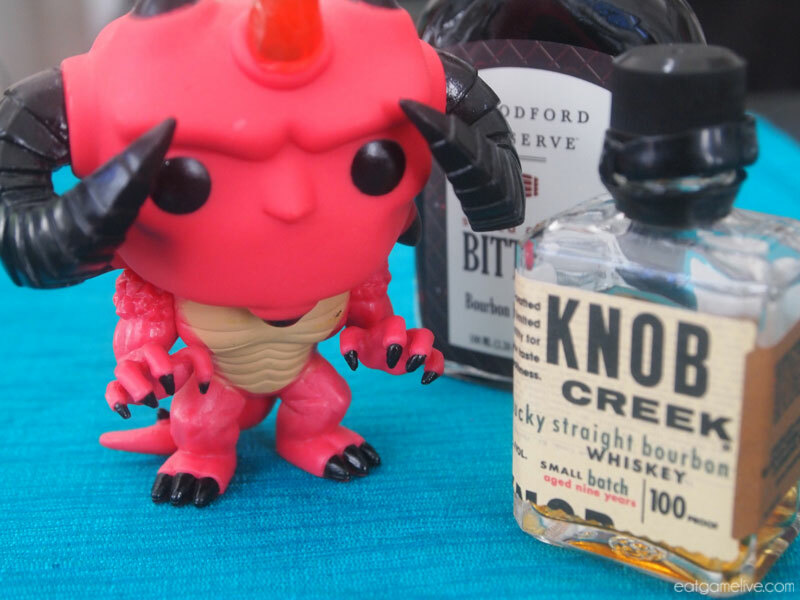 Tiny bourbon for a tiny Lord of Terror. I imagine that it must get pretty damn hot in the Burning Hells, and I would think that Diablo likes to enjoy a good cocktail or two while he’s plotting the demise of the Nephalem. I always knew he was an Old Fashioned kind of demon. For this recipe, instead of going with something spicy to burn your mouth , I decided to go with a different type of burn: BOOZE! *These popsicles are a little bit on the tart side, if you want it to be sweeter, feel free to add 1/2 tablespoon to each of the mixtures before freezing. Total prep time for this recipe is about 20 minutes. Total idle time is about 8 hours (or 5 – 6 hours if you make this without the alcohol). This makes about 6 popsicles. 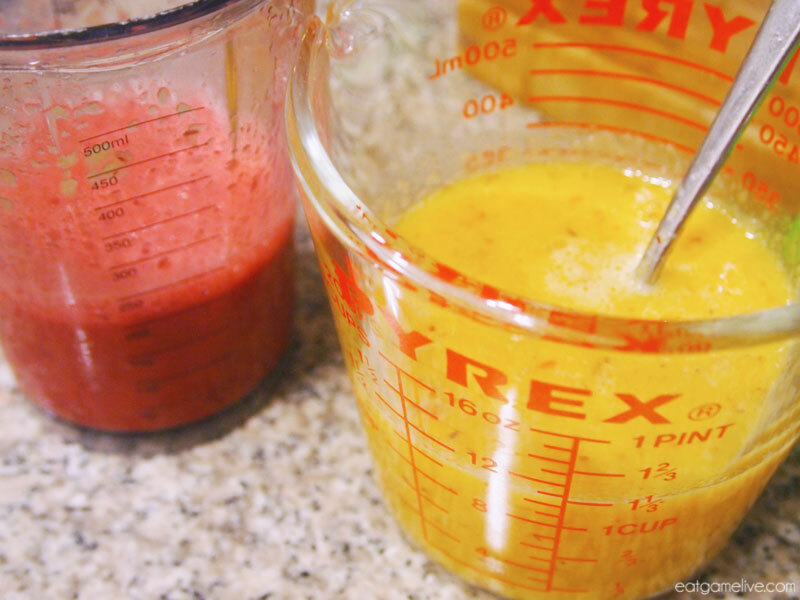 Combine your chopped peach and 1 cup of orange juice in a blender. Add in 1/2 of your bitters and bourbon. Blend the mixture and set aside. 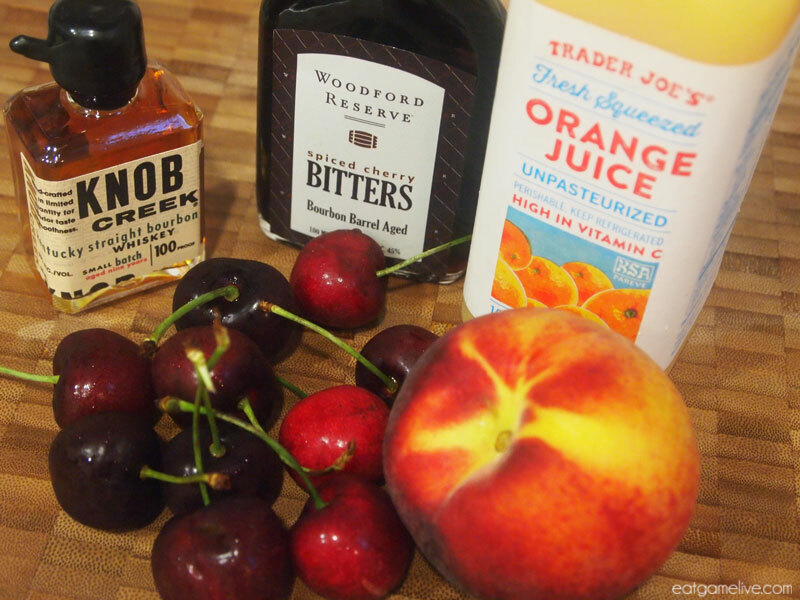 Combine your remaining orange juice, bourbon, bitters and cherries in a blender. Blend the mixture and set aside. The cherry mixture should be less viscous than the peach mixture. 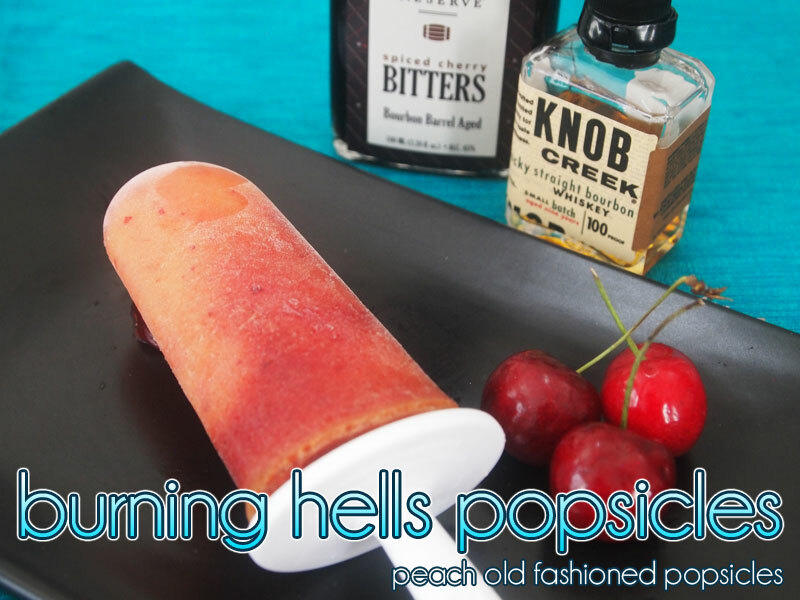 Begin pouring in your orange and peach mixture into each popsicle mold. You’ll want to fill it up to 2/3 of the mold. Top off each mold with the cherry mixture. Using a chopstick or knife, poke the cherry mixture into the peach mixture. This will cause the cherry color to bleed into the orange color. Let chill for 8 hours. 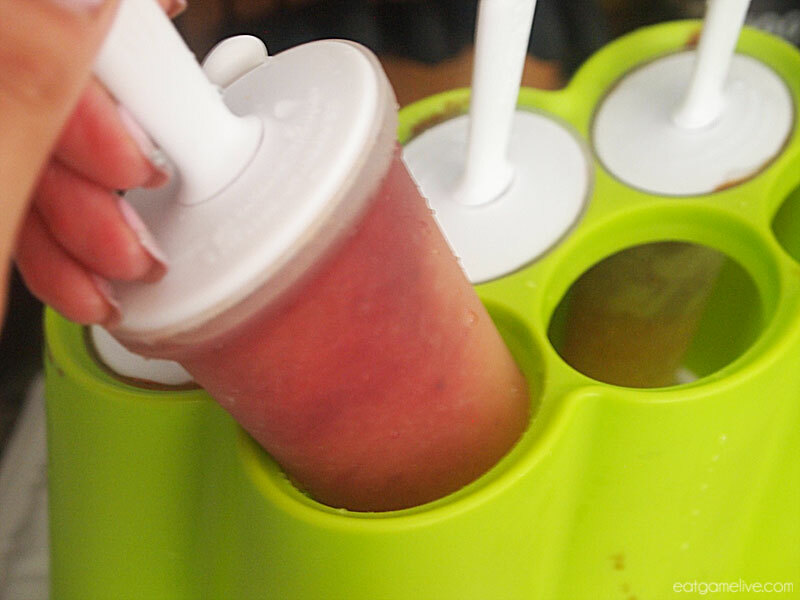 Remove the popsicles from the mold. 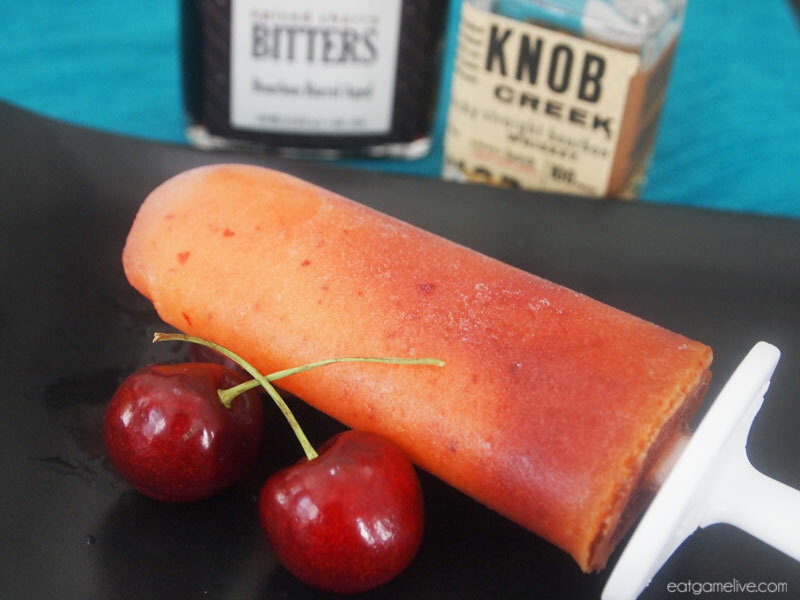 Since this recipe does contain alcohol, I do recommend making these popsicles right before you sleep since alcohol takes a much longer time to freeze. As a result, they’ll also defrost faster once you take them out, so eat them quickly! If you don’t like alcohol, or if you want to make this kid-friendly, this recipe works great without the bourbon and bitters. You’ll just need to add a little bit more orange juice. Now, go forth and enjoy the warm weather, Nephalem! 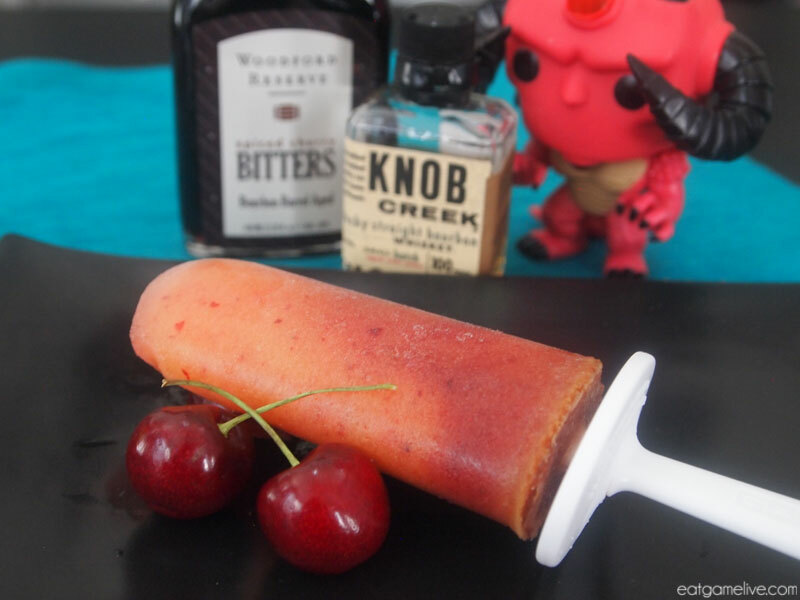 This entry was posted in diablo and tagged alcoholic popsicles, blizzard, bourbon, burning hells, diablo, diablo 3, gaming, lord of terror, old fashioned, popsicles by admin. Bookmark the permalink.